“Emree Franklin, an 18-year-old singer/songwriter from Friday Harbor, WA whose poignant voice, edgy rhythms and creative songwriting lyrics has caught the attention of industry elite. Growing up on a small Island in the Pacific Northwest, Emree draws heavily from her Northwest background and small town roots. Her passion for health and fitness fuses the gap between her love of the outdoors and the collegian urban lifestyle she now enjoys. Emree’s original songs draw on life experiences ranging from her early days attending a rural high school to the poignant first years of college at the University of Washington and living in the Tri-Delta sorority. Emree began writing and singing when she was nine and started competing in competitions including the Colgate and Texaco Country Showdowns where she was a Washington State Finalist at age 14. 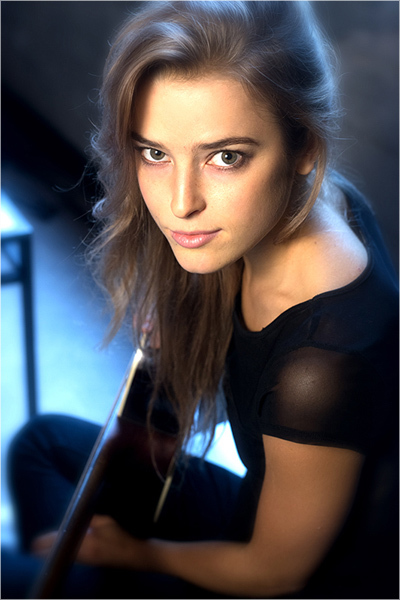 That same year, she caught the attention of Grammy award Winner Larry Knechtel, who produced and recorded her first demo. The experience with Knechtel put in motion the dream of becoming a top recording artist. By age 17 Emree was a regular at the Castle Recording studio in Nashville where she performed in the round at numerous Castle Live Events. 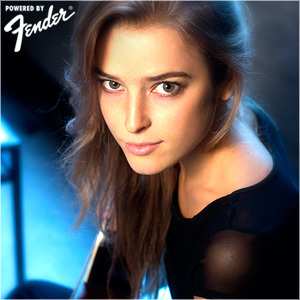 Emree’s talent did not go unnoticed; she was spotted by legendary photographer Robert Knight who asked her to join the Brotherhood of the Guitar sponsored by Fender.